You have probably heard about the Government’s changes to private health Insurance, but what do these changes mean for you? The Australian Government’s private health insurance (PHI) reforms will begin rolling out from 1 April 2019. The reforms are designed to make PHI more affordable, and more transparent so you can compare ‘apples with apples’. 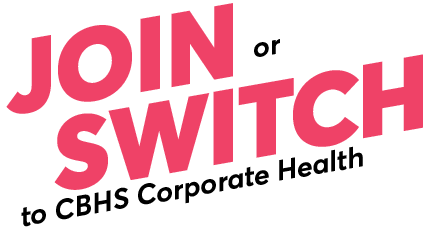 CBHS Corporate Health is fully onboard with these changes, and wants to help you understand what the reforms mean for you. Unlike some funds, CBHS Corporate Health has adopted all three key areas of change recommended by the Government. CBHS Corporate can help you navigate the new Gold, Silver, Bronze and Basic tiers and show you how to compare apples with apples. Now is the time to revisit your health cover options. It takes just 10 minutes to get a quote. CBHS Corporate Health provides honest advice. If the fund is not the best option for you and your family, the team will tell you. To help you make the most of these changes, we've got a special offer. Simply fill in your details below and we'll call you back. Still confused about how the reforms impact you? There are a few other changes under the Government reforms which you might like to know about. Read the FAQs we have put together about the reforms and the impact that they may have on your private health cover. Copyright © 2019 CBHS Corporate Health.